“Women, with their unfailing instinct, must have understood that I dreamed not only of making them more beautiful, but also happier. Their favour was my reward”.  Click here for a sneak peek of the Guru’s visit! Every beginning is messy… and so is the Guru’s brain. But finally, here it is! 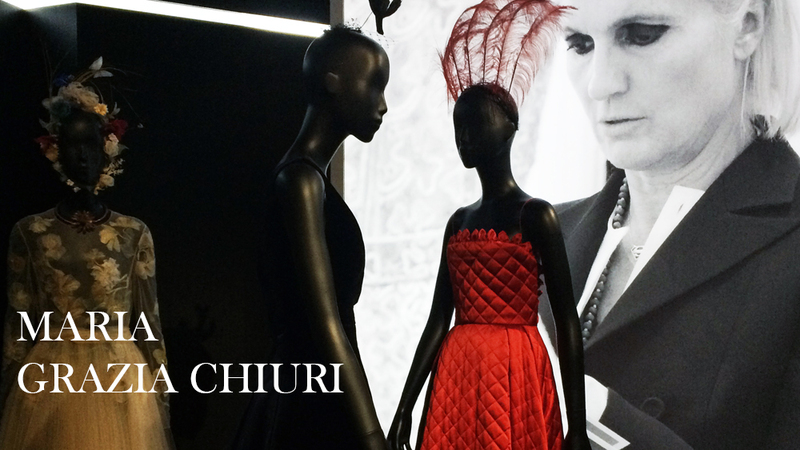 I have been selecting the best of the images from the exhibition extraordinaire in Musee des arts decoratifs in Paris: Christian Dior, Designer of dreams. This woman was for several days submerged in a pile of astonishing images and experiences after this exhibition. The Fur Guru believes images will help you travel with her and live the dream in a more individual manner, therefore, she has left words aside. It wouldn’t be fair if she made prone your senses with her personal experience and perception of this visual fashion trance. She has tried, as much as her notes (and camera) allowed her, to respect the exceptional exhibition’s curation. Because, honestly, there’s so much Dior did and so much his house has done since its beginnings until today that, to be didactic and do it in such a beautiful manner is an art on its own. The exhibition was organised in six main galleries with added ones that talk about a particular topic in Christian Dior’s work and style. 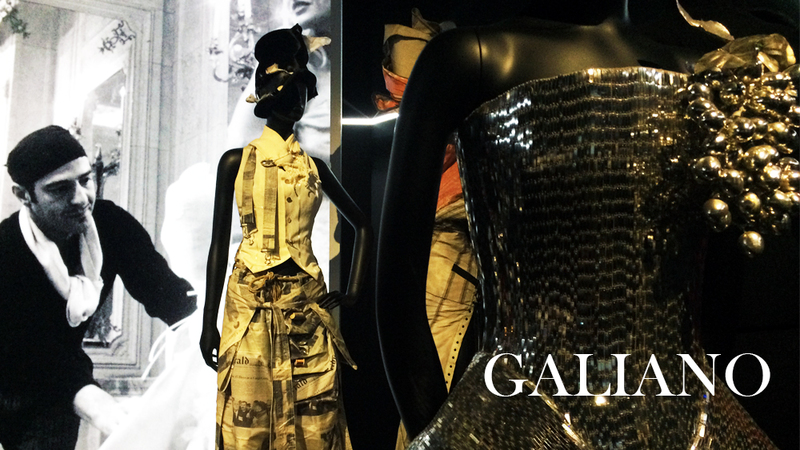 In total, 11 galleries that guide you through the work of this master of Haute Couture. Ready? 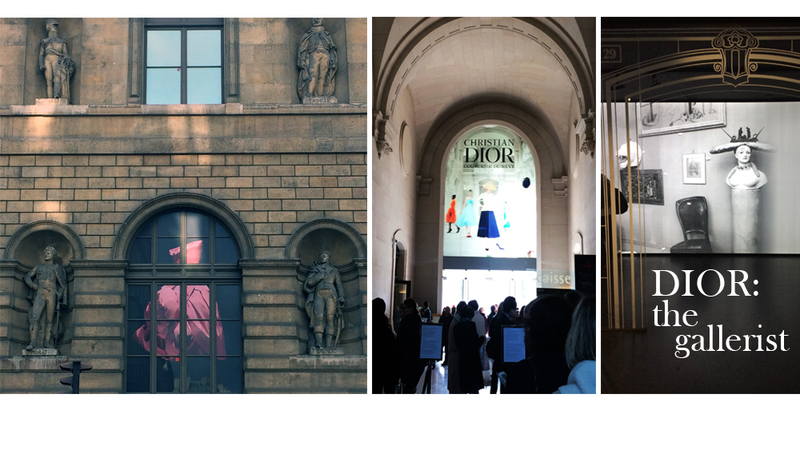 1) DIOR’S INSPIRATION: The exhibition takes the visitor through a journey that begins with numerous documents- sketches, photographs, etc.- and objects that represent the very essence of Dior’s inspiration. 2) THE GALLERIST: At the age of twenty-three, after graduating from the elite college Sciences Po, Dior’s father agreed to finance Christian and his friend Jacques Bonjean gallery project. 3) ARTISTIC AFFINITY: In his early profession as a gallerist he had frequented a group of poets and painters. Memories of this artistic bohemia would later inspire dresses that paid tribute to Picasso, Braque, Dali, Rene Gruau, etc. 4) DIOR AND PHOTOGRAPHY: The arrival of the designer coincided with the renewal of fashion photography. The greatest American fashion magazines, Vogue and Harper’s Bazaar were creating a sophisticated style with a mysterious look that perfectly fitted with Dior’s creations. Their photographs created the image of a world in movement some of which became classics, ensuring the promotion of Dior’s New Look. 5) TRIANON: Inspired by the Enlightment and la Belle Epoque and after his friend Victor Grandpierre decorated his Parisian fashion house a la Fontagne style that Christian Dior returned to the splendour of court dresses, crinolines and corsets. 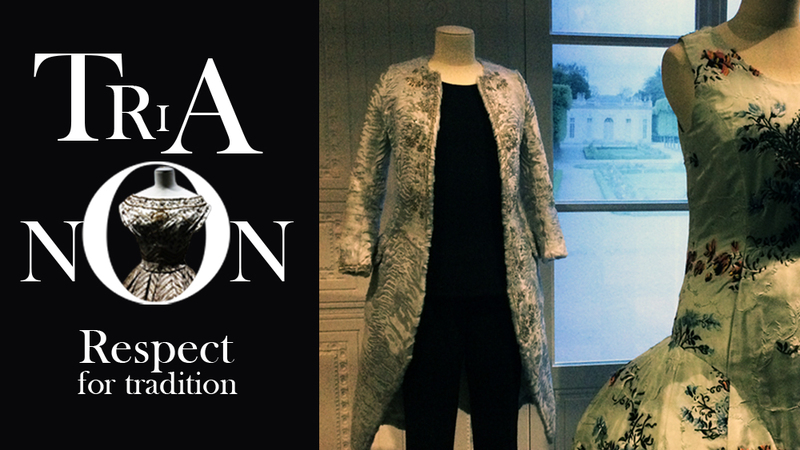 Not all Dior’s successors have shared his interest in the eighteenth century. 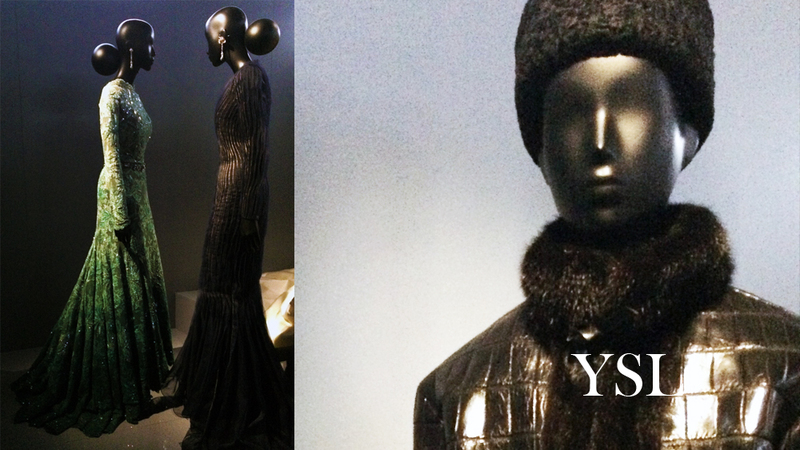 But Yves Saint Laurent, Marc Bohan, John Galiano and Gianfranco Ferre revived its splendours in a fantasy vision of the last decades in the Ancien Regime. 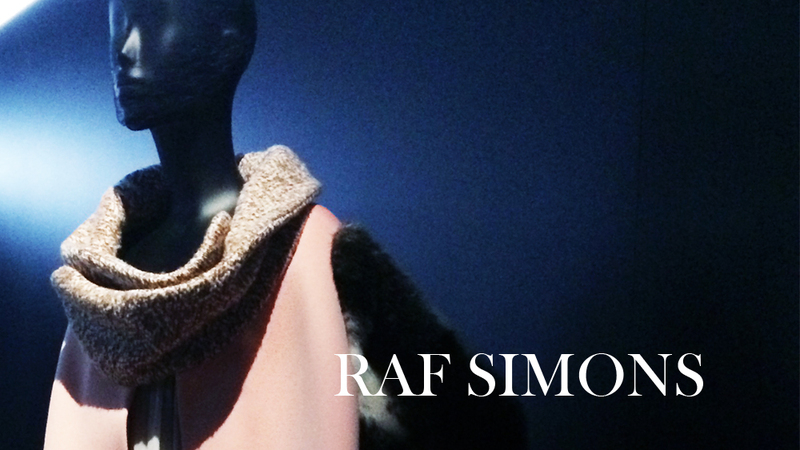 Raf Simons, Haute couture Fall-Winter 2014. Coat in Swakara embroidered with Swarovski crystals. 6) AROUND THE WORLD: Dior travels and the expansion of his brand not only provided him with a market but with a constant source of inspiration. Tour Eiffel and Arc de Triomphe, Frederic Castet Fall- Winter 1988. Saga mink coat. 7) GARDENS: It was flowers that provided Christian Dior with the originating metaphor for his style. In 1947, Dior designed ‘flower woman’, a dress with lines that remind us of floral shapes. This would be the beginning of collections including not only lines but prints, embroidery and pique dresses with flower inspiration. 8) NEW LOOK: The designer appeared with a restructured female body collection, making abundant use of whalebones and petticoats. His new ‘flower-women’ and approach to female shape represent a unique moment in the history of fashion. The term comes from Harper’s Bazaar editor in-chief comment: “It’s quite a revolution, dear Christian, your dresses have such a new look!”. The New Look was based on creating a newly sculpted female form. This visual grammar has been reprised and interpreted by the successive artistic directors at CD. The blueprint that is the Bar suit offers infinite possibilities. 9) DIOR AFTER CHRISTIAN: Best pieces of collections from Yves Saint Laurent, Marc Boha, Gianfranco Ferre, John Galliano, Raf Simons and Maria Grazia Chiuri are shown together with their personal approach to the CD brand. Yves Saint Laurent CHICAGO jacket/ Haute Couture Fall-Winter 1960. Crocodile jacket with mink trim. Raf Simons Haute Couture Fall-Winter 2015/ Neoprene, tweed and fur coat. 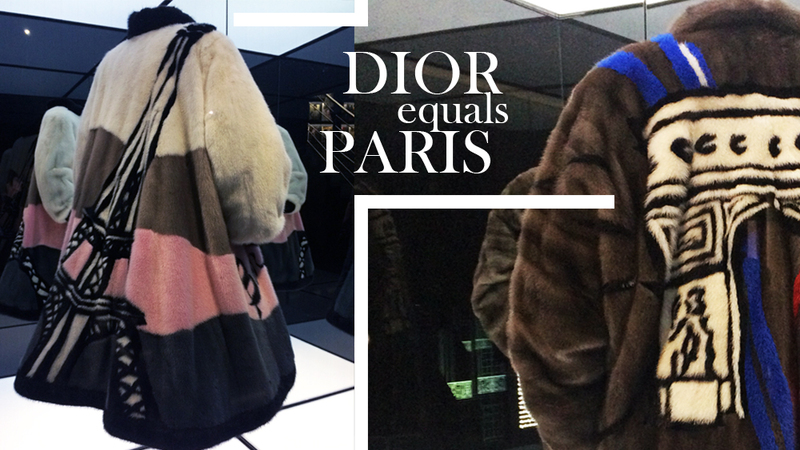 John Galliano collection for Dior. Maria Grazia Chiuri Dior collection. 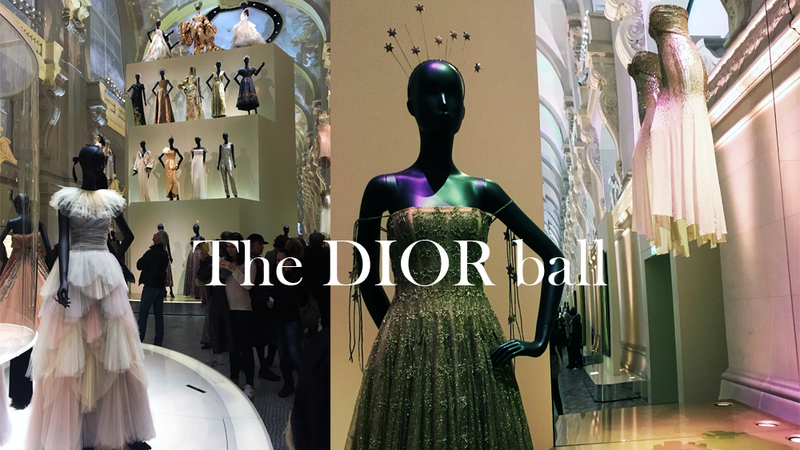 10) THE DIOR BALL: The celebration of life in the aftermath of the First World War has been reflected by founder and predecessors with lavish dresses, tiaras and sparkles. Paris is portrayed as a centre of festivity, euphoric spirit and a glittering social world. 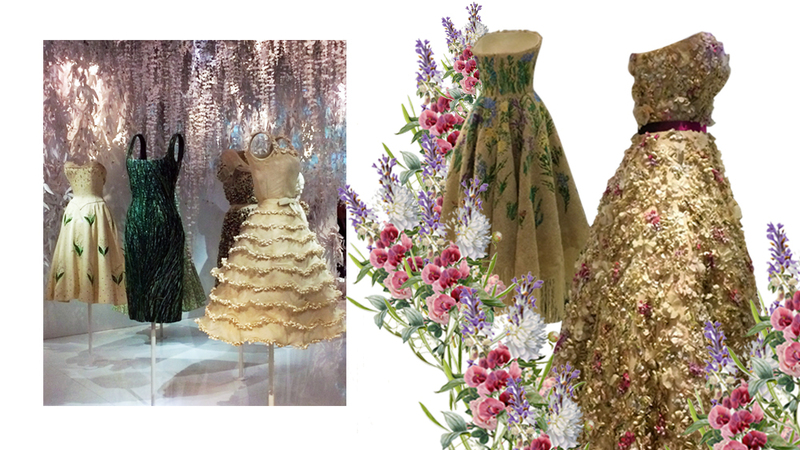 Sparkly creations in Dior’s collection that includes John Galliano’s pieces from extravaganza at Versailles to Maria Grazia’s staged fairy tale ball in Musee Rodin in 2017. Just dreamy! 11) COLORAMA: An outstanding display of colour range accessories that reflects the symbolic value and meaning they had for Christian Dior. Black (pure elegance), white (purity), pink (evoking façade of villa in Granville), red (representing Christian Dior’s brand and called “Dior red”), orange and purple (orientalism), pearl grey (recalled eighteenth century). All the accessories are assembled to perfection enlightening us with the deep understanding of Dior’s style: an indivisible whole. 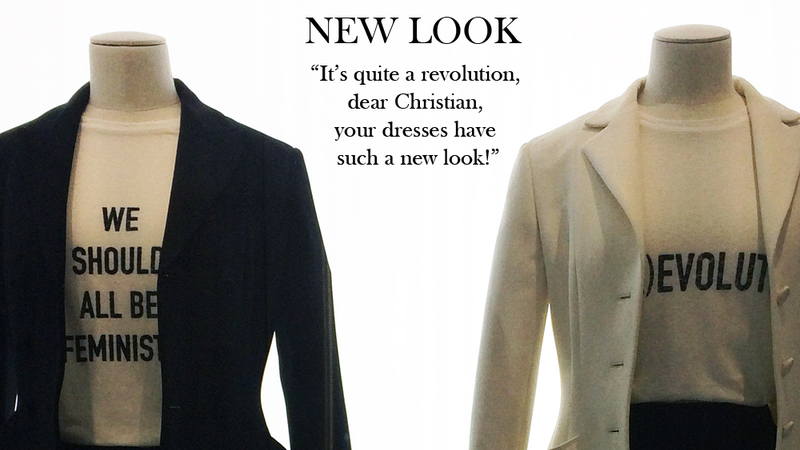 For the Guru, this exhibition describes eloquently who Christian Dior was as a designer without forgetting the personal and private sides of him. It gave her time to look at old photographs, sketches, to read words and parts of books that inspired this prolific mind. Christian Dior was an artist and a theatrical maestro with boundless creativity so the Guru wasn’t surprised to find all these elements of surprise, of flamboyance that characterises his brand. His talent didn’t stop there, his narrow waists and luxuriant motifs were so powerful, his use of colour so charged of symbolism that, without noticing, he created a whole visual culture. As a whole that can be dissected in small parts without them losing significance and power. In such a way that there’s not ‘new look’ without luxury and art of living. No couture without huge respect for femininity considering woman not only as a muse but as a creature of action. 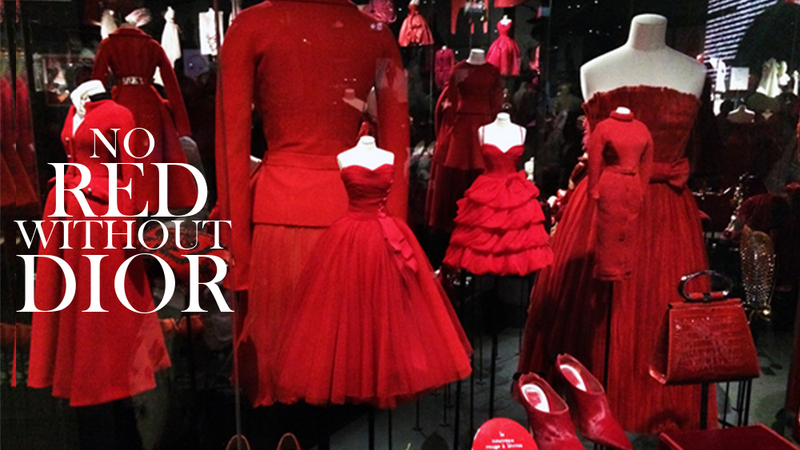 No red without Dior. 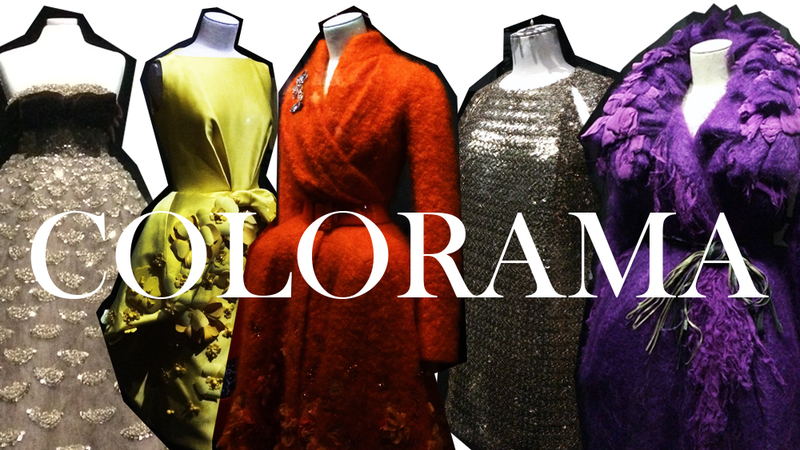 Colorama offers the opportunity to see all creations from the Dior’s house. From accesories to perfumes, the range is endless and explains the power that colour has had in the history of this brand.